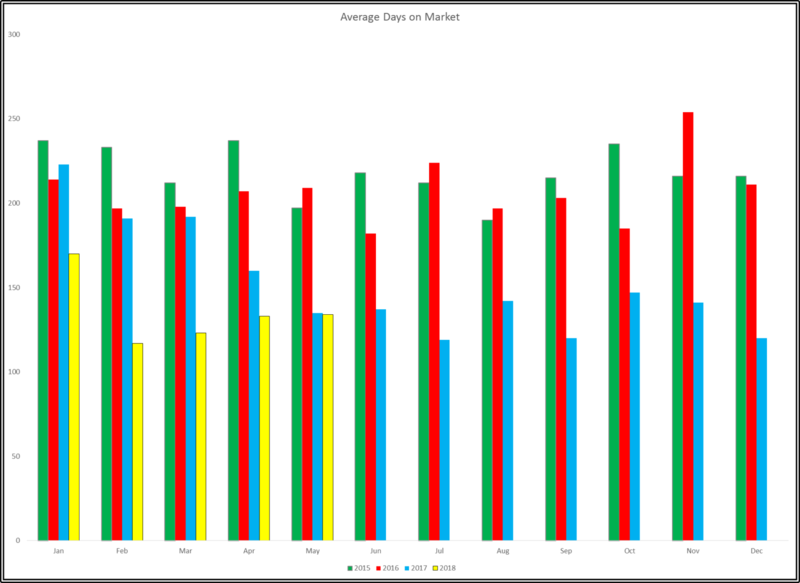 The graph illustrates the drastic decline in the in Days on the Market for residential properties. The decline started in April / May of 2017 and continues through today. Interesting! 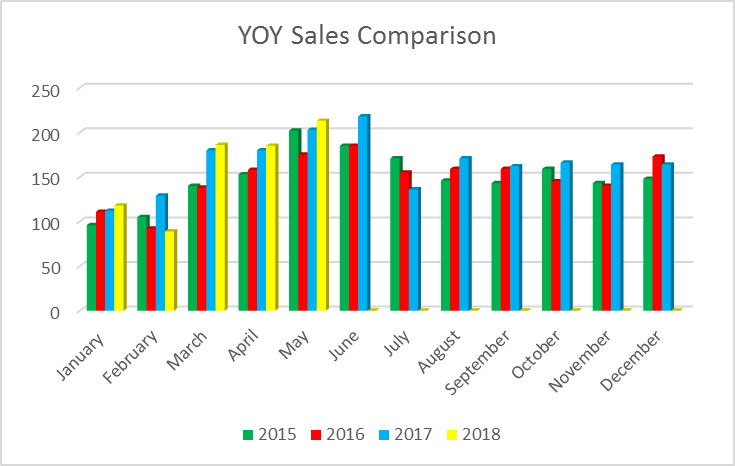 Year over Year Sales For the last four years, residential property sales continue trending upwards although sales for 2018 are slightly below 2017. The decline is most likely due to the cold spring and increasing interest rates. 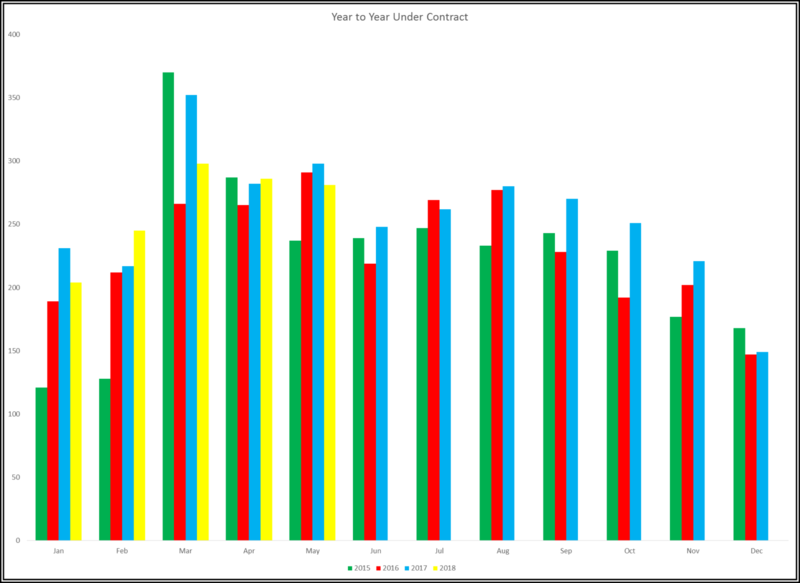 Under Contract Listings placed in an Under-Contract status have been steadily increasing. Not a record year so far but definitely a good year. Data Obtained: June 6. 2018 Note: This report reflects corrections / updates to previous data.